With enriched industrial knowledge, we have been able to offer a wide spectrum of Auto Clean Chimney. 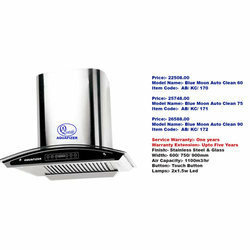 We offer wide range of Auto Clean Chimneys to our clients. - Filter: Filter less with oil collecting cups. - NO-HASSLES INSTALLATION SUPPORT ! We give you an Installation Helpline upon Delivery for a seamless, quick installation. 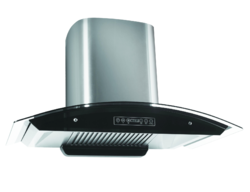 Our reputed entity is engaged in supplying Hindware Cleo Auto Clean Electric Chimney Brush Silver. Full Auto Clean Chimney. Filterless technology. Life time warranty. Designer Models avalable. High Suction Power.